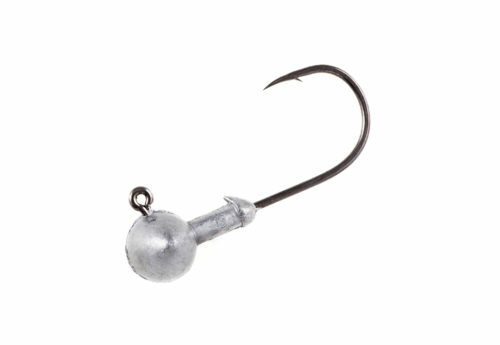 The pivot Head was designed to be used on swim baits. They can be fished individually or in multiples on umbrella rigs. 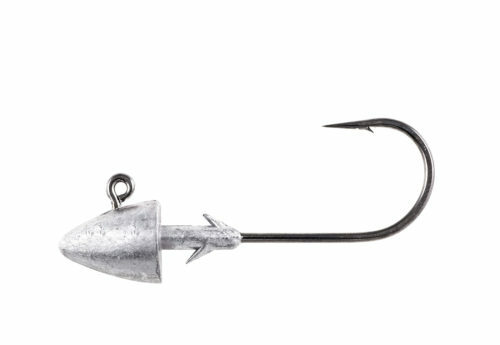 The combination of the "bean" shaped head and the split ring joint between the head and hook allow for an erratic swim pattern that drives fish crazy. 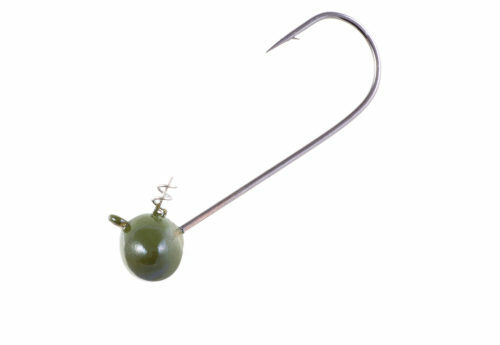 The weedless version is designed to be Texas rigged with the hook point riding on the top of a bait. 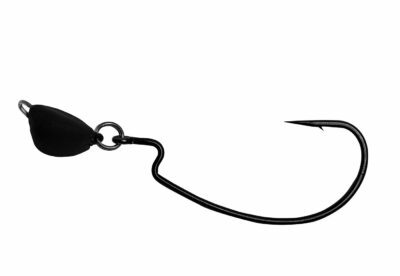 The heads come in a black matte finish and the hooks are black chrome. Size Choose an option5/0 - 3/8 oz.